Promotional marketing apps and mobile concert tour guides help the entertainment industry stay connected with audiences. Grab your audience’s attention and keep it with mag+ interactive apps that are perfect for the entertainment industry. Now it’s easy for venues, television stations, artists and other entertainment organizations to share mobile sensory experiences in a new and exciting way. Interactive digital guides, eMagazines, mobile sales, marketing materials and more can all be customized to your entertainment brand. Bring your media to life with high-tech audio and video, professional design, quick distribution and convenient updating. It’s simple — no coding required! The Royal Swedish Opera used Mag+ to create an interactive marketing app that connects with viewers using video and music that makes you feel like you’re live at the opera. 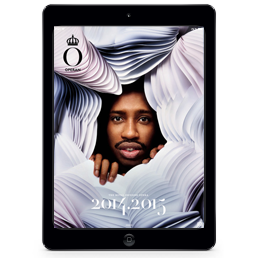 From there viewers can tap straight into the Royal Opera’s website for tickets and access the upcoming performance calendar with information on concerts, guest appearances, family events and more. Bring your performances to life with interactive features that are easy to develop and even easier to update in a mobile app. 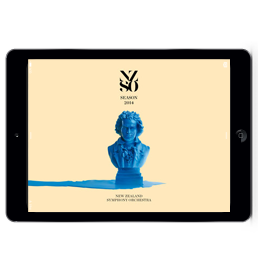 The New Zealand Symphony Orchestra used Mag+ to create an interactive mobile program for their 2014 season. The mobile app, created for iPads, features stunning photography, audio clips to preview the music, crystal clear videos and inspiring words to introduce users to upcoming concerts and the performing musicians. Delivering this beautiful content to mobile devices before the concert season inspired users to purchase tickets, increasing ticket sales for the tour. Mobile devices provide the perfect canvas for any art form to create a buzz. Breathe new life into promotional marketing materials. 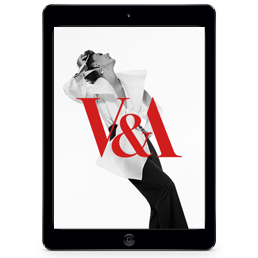 The Victoria and Albert Museum did just that with their free monthly tablet guide, which includes a day-to-day calendar for exhibits, displays and general info. Viewers can find details on talks, tours and special events while enjoying the visually stunning slideshow of current exhibits, updated monthly. Reach new audiences around the globe by delivering your entertainment content to mobile devices. Entertainment brands can hold a captive audience by creating customized mobile content for a variety of uses. Simply download the Mag+ app creating software and start delivering interactive entertainment content to mobile devices.